Touring can be tricky for independent acts, who can often be juggling day jobs and domestic commitments while suffering for their art. 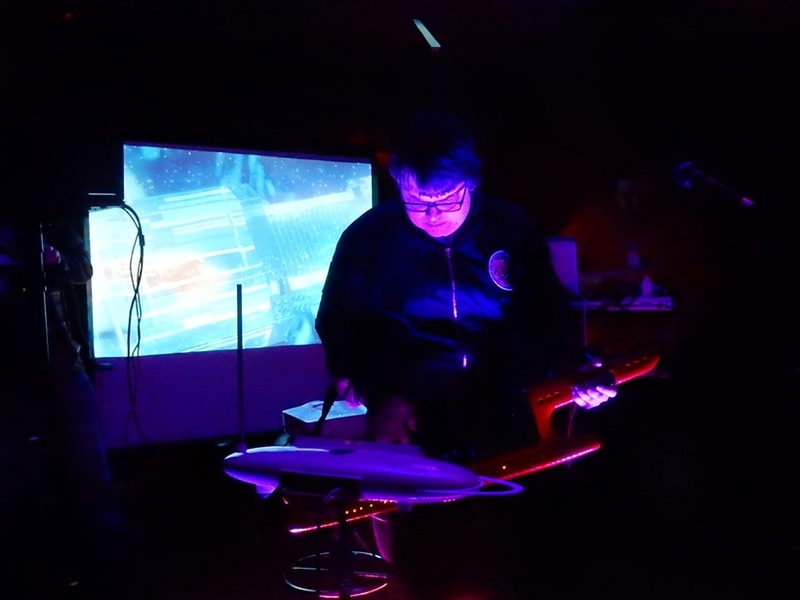 But the ‘Ohm From Ohm’ tour saw RODNEY CROMWELL, THE FRIXION, NATURE OF WIRES and VIEON undertake a two part six date jaunt around England with an intimate showcase of varied styles electronic music. However, friendly expansion was what was behind the invitation as Cresswell remembered: “Lloyd had already asked Gary from NATURE OF WIRES and admitted that his main priority was just trying to nick our fans – which was fine by me”. With NATURE OF WIRES already on the Northern electronic indie label Analogue Trash and THE FRIXION about to sign, it was natural to ask another act on the roster VIEON to join the convoy: “I’d played with them before and with Analogue Trash involved at that point too, it all came together” Cresswell recalled, “I don’t think many synth bands find it easy to find gigs, so to pool our resources and work together made a lot of sense”. Ever the acerbic wit, it was Cresswell who christened the tour with the name ‘Ohm From Ohm’. One misconception that music fans often have about live work is that a one-off show requires less rehearsal time than a tour. The same effort is required and with many acts including some so-called rock bands needing to use electronic backing tracks for practical as well as aesthetic reasons, there is a lot of work needing to be done before any rehearsal can even take place. “Well programming takes a while” Cresswell confirmed, “I have different sequenced mixes depending on whether I’m playing as a one, two or three piece. I rehearse a lot on my own and then we all come together a couple of times before a show. It’s well-rehearsed but there is never any danger of being too slick”. Gathering together personnel for a tour causes its own headaches with diaries needing to sync and accommodation arrangements to co-ordinate too. Indeed, the RODNEY CROMWELL set-up was a good example of how things can suddenly change. While guitarist Richard Salt was able to commit to accompanying Cresswell on the entire tour, long standing synth player Alice Hubley was only available for part one. 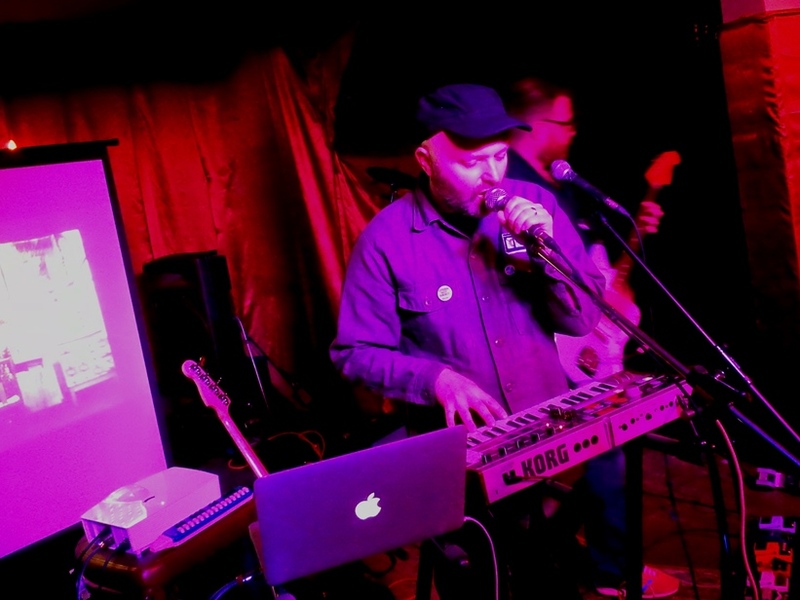 Something of a music veteran, Cresswell was a founder member of John Peel favourites SALOON and acclaimed electronic two-piece ARTHUR & MARTHA. 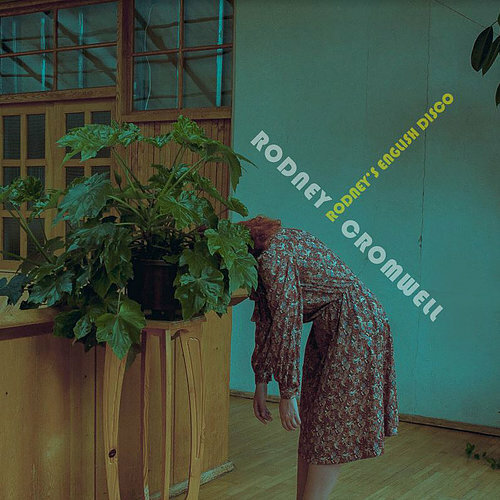 But it has been with his indietronica project RODNEY CROMWELL that he found unexpected interest from the mainstream press with the album ‘Age of Anxiety’ . 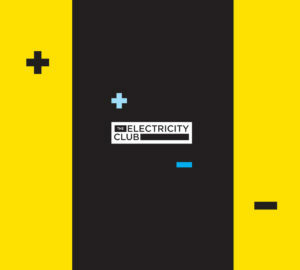 However, the ‘Ohm From Ohm’ tour was being used by Cresswell as a platform to relaunch his alter-ego after a recorded absence of nearly three years with the release of an excellent new EP ‘Rodney’s English Disco’ . As the tour headed towards the first night in Birmingham, the running order was decided. Often a contentious issue with multi-band line-ups of all genres, Cresswell came up with an answer: “I worked it out using a points based system – which (depending on how you think) is either a fully functional Marxist organisational model or equivalent to a nightmarish Nigel Farage fantasy immigration system. So it’s 4 points to headline, 3 for on-third and so on, and each band has to have the same total points across the tour. Local factors were taken into consideration so I’m heading London, Gene and Lloyd in Southend, NATURE OF WIRES in Manchester and so on”. Herefordshire veterans NATURE OF WIRES initially operated between 1986-1994 as a duo featuring Andrew Stirling-Brown and Gary Watts. 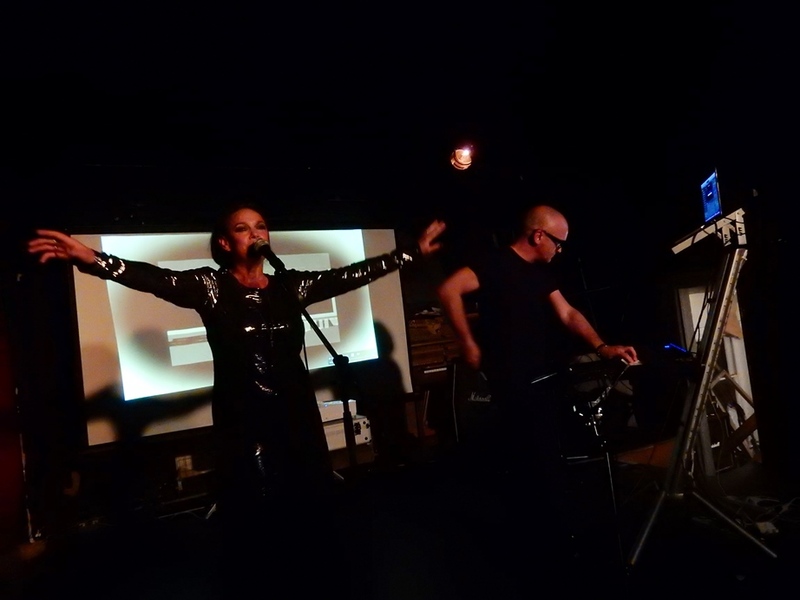 After what had intended to be a six month hiatus, they finally returned with their brand of industrial flavoured darkwave for the ‘Cyber Rendezvous’ album in 2016, augmented by live electronic percussionist Tim Powell-Tuck. Known for their catalogue of remixes for artists, at three of the ‘Ohm From Ohm’ shows including London, they were joined on stage by singer Caroline McLavy for their battle hardened take of her track ‘Don’t Wanna’, providing a unique contrast in styles. Gene Serene and Lloyd Price are THE FRIXION and although only having been in existence for over a year, they are experienced hands. Price was a member of MASSIVE EGO and a frequent collaborator of SIGUE SIGUE SPUTNIK’s Martin Degville, while Serene emerged from Berlin’s hedonistic club scene, bringing an element of Weimar Cabaret to a classic synthpop sound not unlike Kylie going Goth electro. At the other end of the age spectrum, VIEON is the musical vehicle of young Coventry synth wizard Matt Wild. Influenced by the likes of TANGERINE DREAM and JEAN-MICHEL JARRE with some added rhythmic twists such as the drum ‘n’ bass elements of ‘Meteor’, Wild can certainly play. The audio visual presentation of progressive rock elements coupled to spacey visuals could engage the newer generation of synthwave enthusiasts exploring the realms of electronic music through TV shows like ‘Stranger Things’. As the tour progressed through its first leg, Leeds proved to be below expectations on attendance but this was compensated by a good turnout in Manchester. Often, it is the cities with their more apparent art and culture focal points that are the more risk adverse territories to perform in. Bands’ Facebook pages are often littered with comments of “COME TO PETERBOROUGH” or “PLAY TEIGNMOUTH”, but it simply is not cost effective for most independent acts to visit these provincial locations, especially those peddling synth based music. It’s a sad fact but it is also reality. But touring is probably one of the few ways remaining to make some money through merchandise sales and ticket share for a modern independent act, as Cresswell elaborated: ”It’s probably the most traditional way for sure, although it’s not without risk. One bad gig combined with petrol, food and a Travelodge and you can wipe out two good nights easily. Sadly we’re not at the Taylor Swift stage where we can charge £150 a ticket”. While some music fans would be idealistically happy to see their favourite acts starve and not enter into the evils of commerciality, the fact is even a principled rock act has to buy its guitar strings from a capitalist instrument retailer, while for any independent act, some income is essential as a subsidy to continue making music. The opening night of the second leg in London saw the RODNEY CROMWELL fan club out in force while in Coventry, VIEON were given a rapturous reception by their home crowd. But at Southend with the end of the tour in sight, the laid back mood of all involved led to a rather prolonged soundcheck resulting in a late start to proceedings. 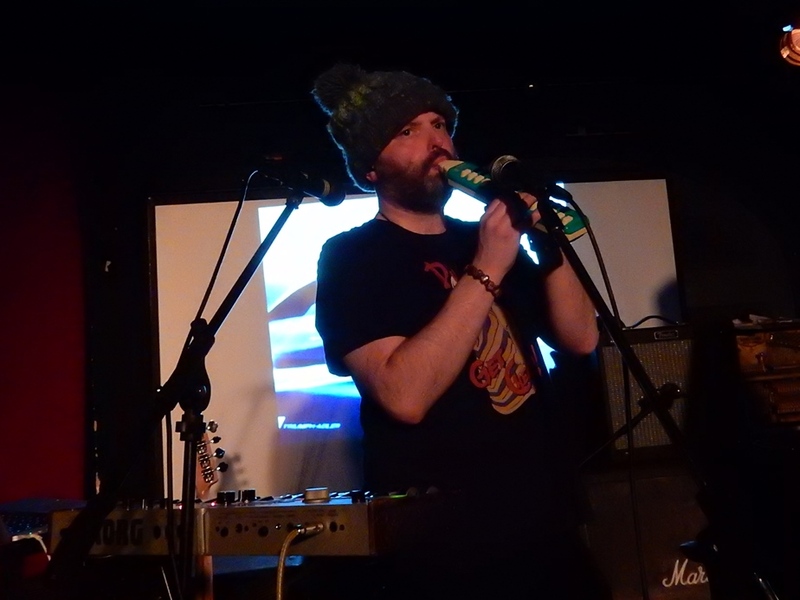 Despite this, things went well during the RODNEY CROMWELL set with Cresswell more relaxed than usual and even dancing on the opening song ‘Comrades’. Meanwhile on the effervescent melancholy of ‘Black Dog’, he was able to indulge in his Hooky fantasies. And with it effectively being their local gig, THE FRIXION had many dancing at the front to their sublime songs like ‘Deceive A Believer’ and ‘Dusk Til Dawn’. With the notable fall-outs that can happen after just one event, the ‘Ohm From Ohm’ tour was a highly successful jaunt if only for the fact that all four acts managed to remain friends: “No-one has complained”, says Cresswell, “I have toured a lot and honestly this has been the most harmonious tours I’ve been on”. It’s a challenging time for independent artists right now, especially with trying to gain traction for their music to make live music events such as these sustainable. A thoughtfully curated line-up with acts that are the same but different is one way of achieving that objective. You might only know and like one act on the bill, but with this type of ethos, you might just end the evening liking one or two more. And that should be considered part of the fun.